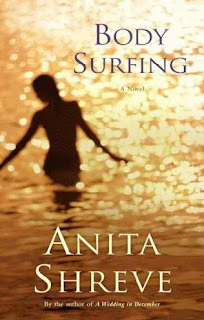 Body Surfing is the fourth book in what is known as the "Fortune's Rocks" quartet by Anita Shreve ; however it serves perfectly fine as a stand-alone novel. Although Sydney is only twenty-nine years old, she has been both divorced and widowed. When she vacations with a prominent family at their beach-house in New Hampshire to tutor their daughter with slow learning problems named Julie, Sydney finds herself as the love interest torn between two brothers. Body Surfing is the tale of the classic love triangle and not only pits brother against brother, but pits the pauper-like Sydney against a well-off family. The fast-paced style of Body Surfing will definitely keep readers engaged for a long while, if not for the entire duration. The novel is comprised solely of paragraphs which makes for a speedy read, but the tone is too cold and detached. You won't be able to sense true chemistry between the characters because we are merely just told how they feel about one another. The vocabulary is also very limited and very redundant; Shreve uses the same expressions and words repeatedly which at times becomes very tiring. As far as the plot is concerned, Body Surfing is less than original and the ending is predictable, cliched and overly dramatic. Body Surfing is one of the few pieces of literature I have actually read all the way through in hopes for something more than it turned out to be; usually you can sense this from the get-go so needless to say I am very disappointed. 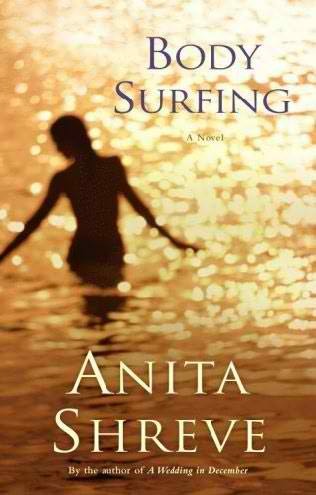 I recommend Body Surfing only to die-hard fans of Anita Shreve , but to nobody else. My favorite Anita Shreve works include The Pilot's Wife (1998), Sea Glass (2002) and All He Ever Wanted (2003). I totally agree with your review. This was the only Shreve book I've read, but I wasn't thrilled. It was predictable and it was cliched, but I'm not opposed to trying one of the ones you enjoyed. Thanks -- I'm glad you agree! Yes, definitely try one of the others...they're worth your time.